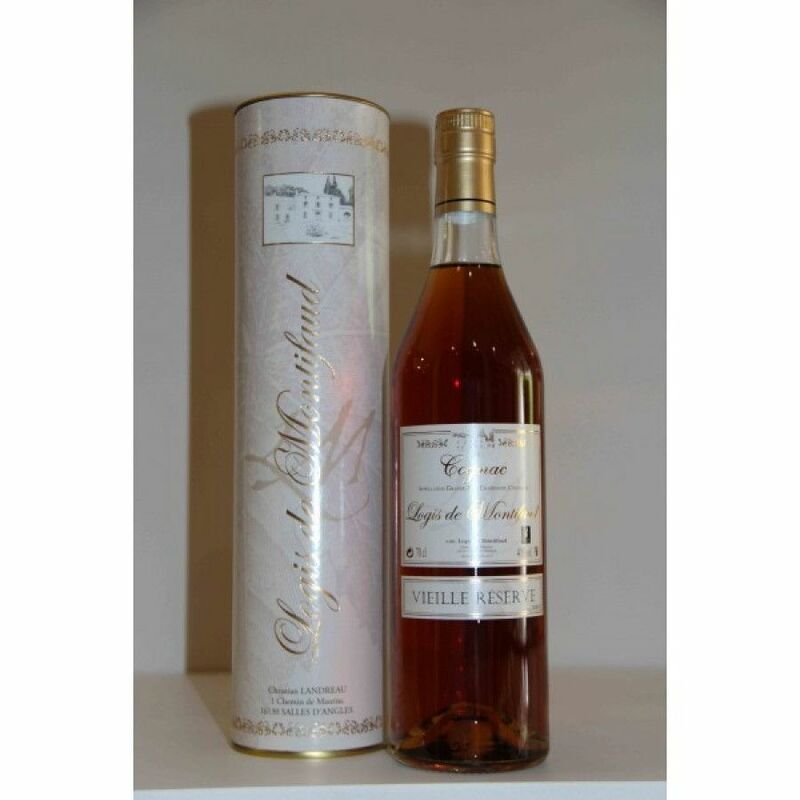 When it comes to finding a truly old cognac that's not only of outstanding quality, but won't break the bank, then look no further than the Logis de Montifaud Vielle Reserve Cognac. This cellar master of this small, artisan house has certainly done his thing with this creation - allowing time to do its work on the Grande Champagne eaux-de-vie that have gone into creating this cognac. As you'd expect of a cognac of this age, there'sa sumptuous taste of rancio, and the taste is both complex yet rounded - with a satisfyingly long finish. Presented in a traditional style cognac bottle and housed in a presentation tube, this is a great cognac with which to treat yourself - or one that will be well received by any cognac connoisseur. Cognac Logis de Montifaud is owned and run by the Landreau family and based at their 17th century estate. The property itself has a long and convoluted history, and the Landreau family have five generations of wine growing experience. With a production ethic that not only abides by tradition but respects the environment, Logis de Montifaud produce a full range of distinct cognacs of all ages. The Logis itself is also run as an accommodation for tourists, and they can welcome large groups of 40 people to stay. Tasting review by Logis de Montifaud: The harmony between spicy and fruity aromas shows a rounded cognac. The nose and the palate identify a floral spirit. Tasting review by Logis de Montifaud: Its amber colour has fire-red tints from tannins, wood, and copper. Spicy nose, lively, and subtle flavor. The palate is fruity, spicy, and woody. The taste lingers in the mouth. No tasting review on Hine Family Reserve. Tasting review by Michel Forgeron Cognac: Eye: Light brownish red color with exquisite golden reflections Nose: Powerful and lively, flavors of lemon confit complimented by woody notes: Pepper, clove, fresh tobacco. Palate: Vanilla and toasted notes, with a fine and graceful rancio. No tasting notes of the Ragnaud Sabourin Reserve yet, nor a review.